Cornwall's wild landscape and history of wrecking and smuggling lends itself to tales of ghosts and other paranormal phenomena. 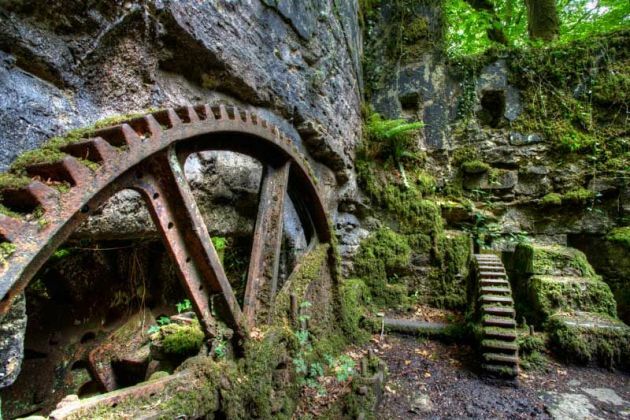 Myths and legends abound, from the ghost of Merlin, said to inhabit a creepy cave beneath Tintagel Castle, to the Beast of Bodmin Moor, accused of savaging livestock in the dead of night. 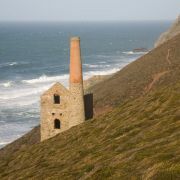 Here we have selected ten of Cornwall's spookiest locations in order to help you get the very most out of our ghosts. Built as a coaching house in 1750 and located right in the middle of Bodmin Moor, Jamaica Inn is alleged to be one of the most haunted places in Britain. 'Resident' ghosts include a malevolent highwayman in a three cornered hat who walks through locked doors, an anguished young mother with a baby who inhabits the mirror in room five and a murdered young smuggler who paces around the courtyard in the middle of the night. 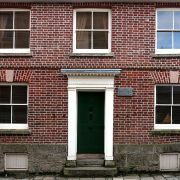 Daphne DuMaurier's famous novel about the inn, later made into a film by Alfred Hitchcock, focuses on it's colourful history as a smuggler's den. 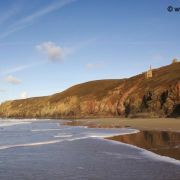 There is evidence of five thousand years of history at Pengersick Castle, which is just inland from the beach at Praa Sands. The oldest remaining structure is a four-storey tower that dates back to the sixteenth century and was part of an extensive, fortified Tudor manor that belonged to the notorious Pengersick family. The family's murderous exploits gave rise to countless legends, including that of a black-robed monk who is said to wander the grounds at night. Pengersick was a favourite with smugglers, who unloaded their contraband on the west end of the beach into a tunnel that led straight to the castle. 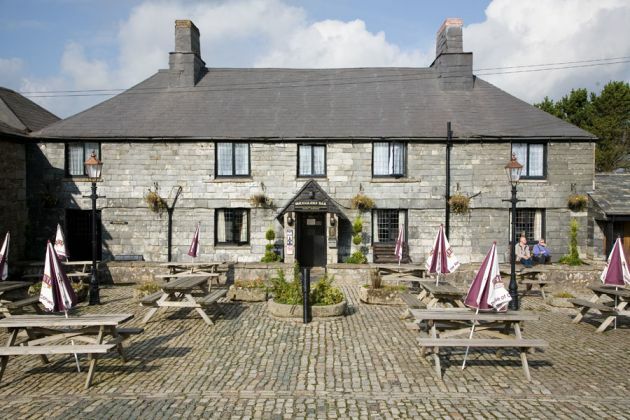 The bleak, windswept landscape of Bodmin Moor is imbued with more than it's fair share of myths and legends. 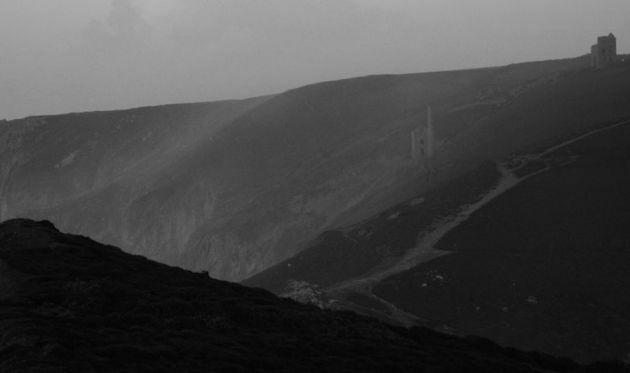 At Dozmary Pool, said to harbour King Arthur's sword, the ghost of the hapless Tregeagle can still be heard howling across the moors, while the ghost of Charlotte Dymond, murdered by her crippled lover, is regularly seen on the slopes of Roughtor clad in a gown and a silk bonnet. 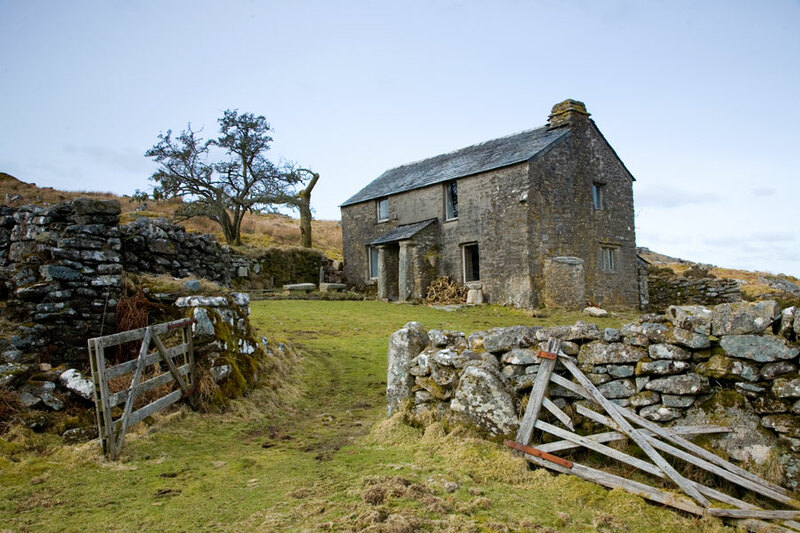 Hard evidence exists of a huge, black, panther-like cat, known as the Beast of Bodmin Moor, which has been seen more than sixty times and is given to savaging livestock in the dead of night. 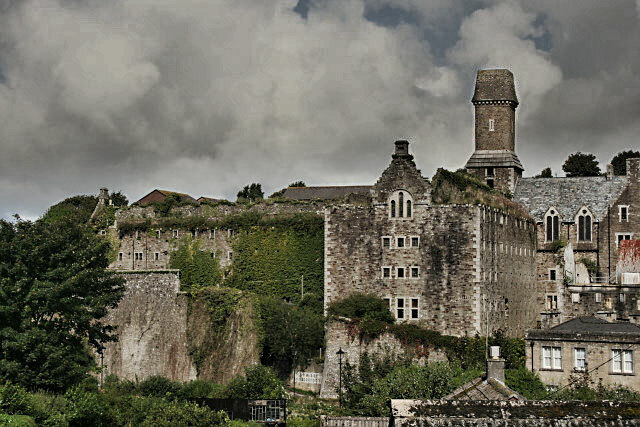 Built in 1778, Bodmin Jail has a dark and sinister past, famous for the hugely popular and well-attended public hangings that took place outside until 1862. The jail is popular yet, having been turned into a museum with information about notable prisoners and details about their grisly crimes and sentences on display alongside the cells. Even just glimpsed from the road, Bodmin Jail is a creepy place. Descend into the cold and gloomy underground passages and it is immediately clear why the jail was chosen to be part of a recent TV series about the most haunted places in Britain. 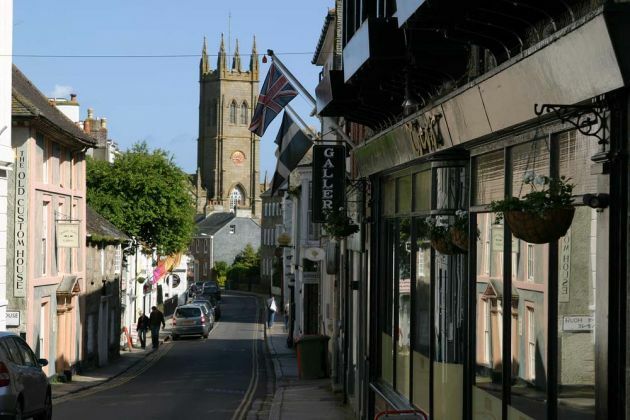 Chapel Street is the oldest street in Penzance and stuffed with historical buildings, including four pubs, each with a tale to tell. The Union Hotel shelters the remains of the oldest Georgian theatre in the country as well as the town's original assembly room, built in 1791. The Regent is one of the oldest buildings in Penzance, a former temperance hall that dates back four hundred years. 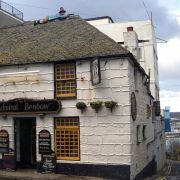 The Turk's Head, a little further down the street, is the oldest pub in Penzance, while the Benbow, named after a famous seventeenth century admiral, is decorated with authentic cannons and figureheads brought up by divers from local wrecks. Look out for the figure of a smuggler with a gun lying on the roof. 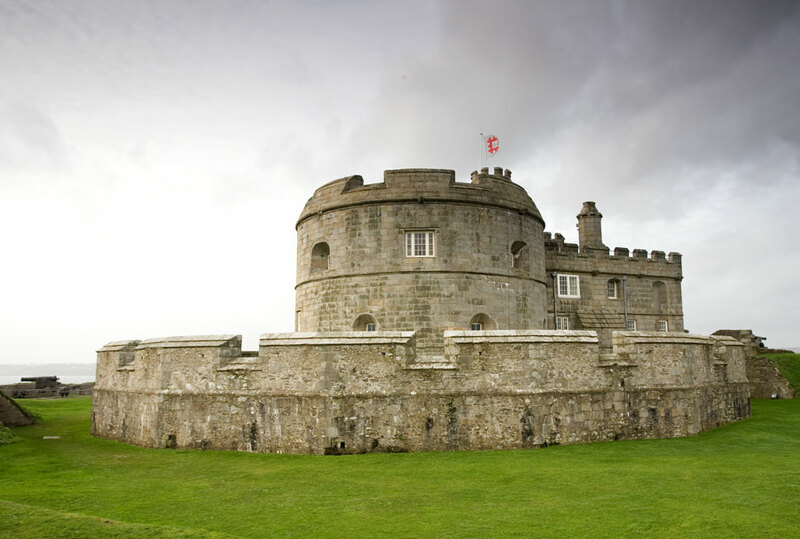 Pendennis Castle, just outside Falmouth, was built by Henry VIII to protect the Carrick Roads from invasion by France and Spain. 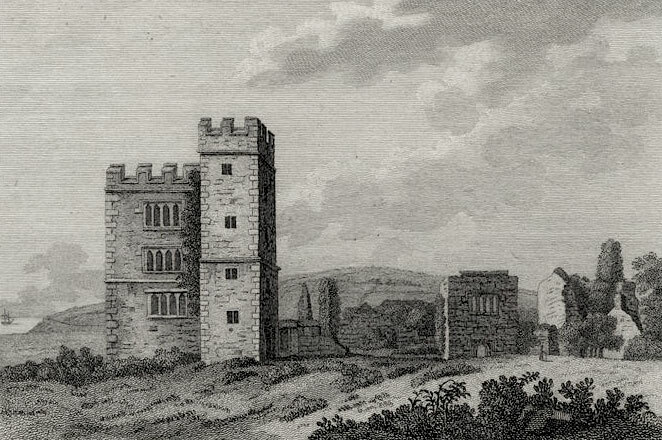 In 1646 the castle was the site of a famous siege, during which Royalists were trapped inside for six months and forced to eat their horses and dogs before surrendering. The piercing screams of a kitchen maid who fell to her death while carrying a tray of food have been heard by numerous visitors, as have strange footsteps on a staircase that no longer leads anywhere. 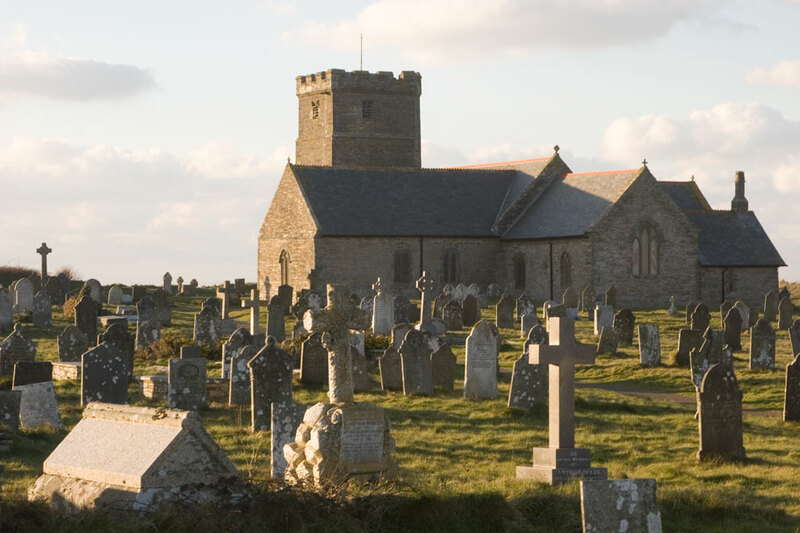 Tintagel is home to the ruins of a twelfth century castle with strong mythical associations to King Arthur, and at least five well-known ghosts. Three of these reside at the Camelot Castle Hotel, indulging in such activities as throwing paintings from the walls, waking people up in the dead of night to give them a bed bath and going through the hotel's bins. A fourth is a former employee of the hotel, who died about seventy years ago and can often be seen walking along the path to the hotel from his cottage, which was once owned by Kate Winslet. Tintagel Castle itself is set on a dramatic headland under which lurks a dark, dank cave thought to be haunted by the ghost of Merlin. 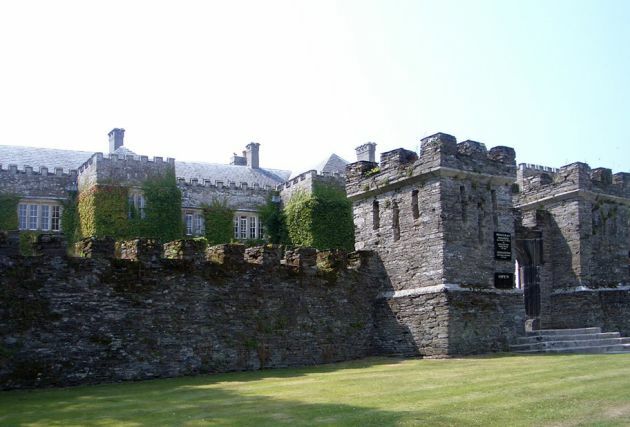 Prideaux Place, near Padstow, is an Elizabethan manor house completed in 1592. It has been in the Prideaux-Brune family ever since. Reported paranormal activity includes the ghost of a scullery boy given to running around the kitchen, the ghost of a woman dressed in nineteenth century clothes who sits and sews in the morning room and the ghost of Honor Fortescue, wife of Humphrey Prideaux, who threw herself off the upper balcony following the death of her husband and has since taken to wearing a green dress and chasing people out of the bedrooms. 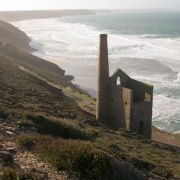 The mine at Wheal Coates, near St Agnes, goes all the way down to the sea, which can be heard crashing against the rocks through a grate in the floor of the ruined Towanroath engine house, probably the most famous industrial building in Cornwall. 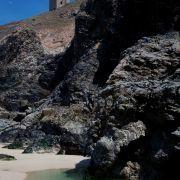 The mine shaft is accessible at low tide through a large cave at the far end of Chapel Porth beach. Legend has it that the mine is haunted by the ghosts of the many miners who died there working in extreme and dangerous conditions.